Cineworld, one of the UK's leading cinema groups, is about to launch a new digital IMAX theatre system in their Edinburgh multiplex on 21 December 2011. 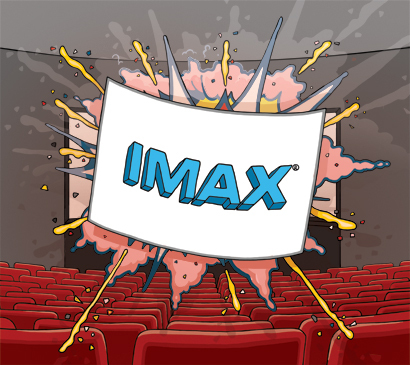 To mark the occasion, the new IMAX theatre will be showing advanced screenings of the much anticipated Mission Impossible: Ghost Protocol. With ground-breaking digital projection, cutting edge audio technology and one of the largest screens around, the IMAX Experience will allow film fans to enjoy the biggest blockbusters like never before. Edinburgh is the first of three Cineworld locations to roll out an IMAX theatre with additional openings in Nottingham and Sheffield scheduled for early 2012. BD Network London commissioned this artwork for two 96 sheet billboards and all sorts of other touchpoints to promote the IMAX Edinburgh launch.